You'll love Adam's Car Wash. This high-sudsing, super-concentrated, specially-formulated, PH-balanced, and biodegradable soap creates lots of suds without stripping the protection on your finish. This is the best car wash I have ever used. Removed road tar and bugs with out any extra products and it always leaves a great shine on all of my vehicles. 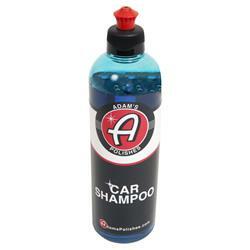 Best car soap on the market. High quality stuff, makes tons of soap and doesn't leave behind a reside like the last wash unused did. I have used a number of different brands and really like the Adams. Produces lots of suds and foam, and does not strip wax like competitors which are harsher. One bottle lasts quite a while!